Home Edu News Insect-based food is truly tasty! Insect-based food is truly tasty! 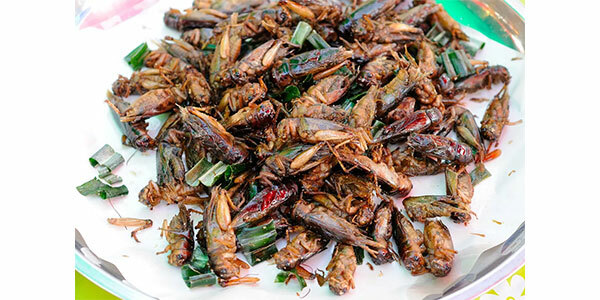 Promoting insects as tasty, or even as a luxurious and exotic delicacy, could help to change attitudes and achieve more sustainable food production and healthier diets. This is the conclusion of a study published in the journal Frontiers in Nutrition. Food production accounts for an enormous 25% of all human greenhouse gas emissions with livestock contributing hugely towards it. Hence it is important for researchers and policymakers to develop and promote more sustainable ways to produce animal protein. One controversial option is farming and eating insects! In fact, insects have numerous health benefits as a source of protein and dramatically outperform conventional meats in terms of greenhouse gas emissions. An insect-based food might help in the fight against climate change! Despite these benefits, people rarely eat insects and many people are wary or even disgusted at the thought of eating insect-based food. The research suggests added benefits for portraying insect-based food as delicious, trendy or even luxurious, if they are to effectively change people's eating habits.